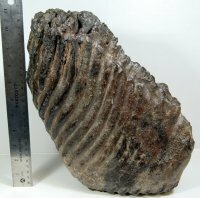 Massive Upper Mammoth Tooth 18+ Pounds! 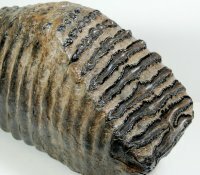 [BigMammoth] : Fossils Online, Welcome! 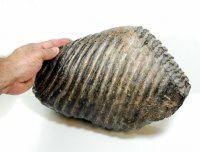 Home :: Museum :: Massive Upper Mammoth Tooth 18+ Pounds! 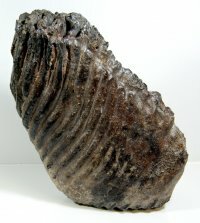 The finest and largest mammoth tooth I have come across. Extremely heavy. Weighs just over 18 1/4 pounds! The condition is just like the day the animal died. If you are looking for the very best for your collection then this is worth some consideration. Measures 13.5" across from front to back.